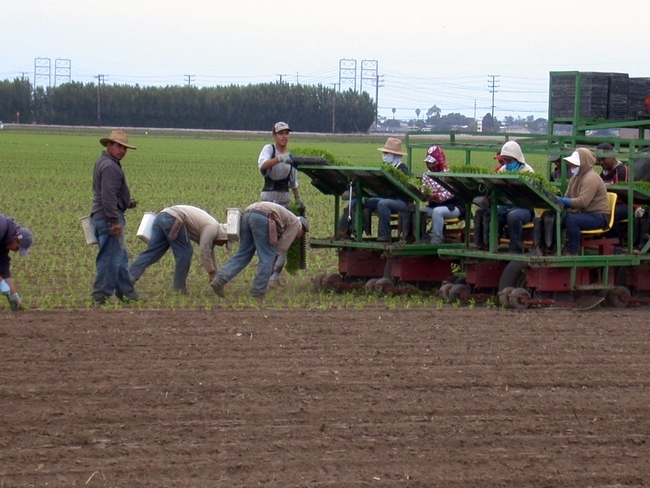 However, there are several vegetable operations that rely solely on drip as an irrigation method from start to finish, even for such water-thirsty vegetables as celery and cabbage. 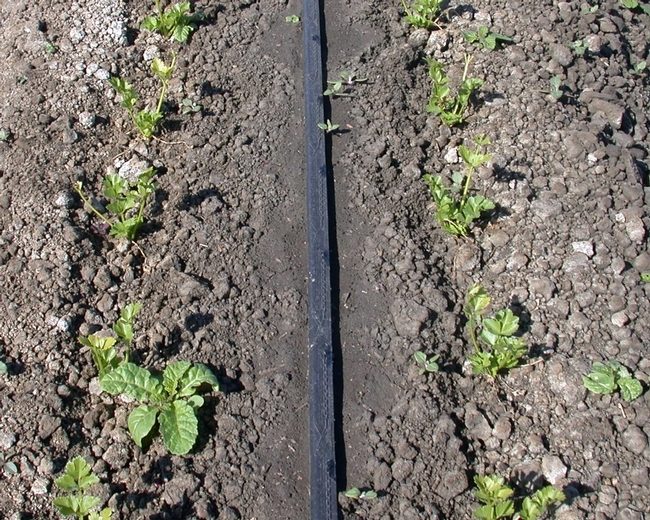 This works well in cooler winter months as a single high flow drip line irrigates two rows of plants. 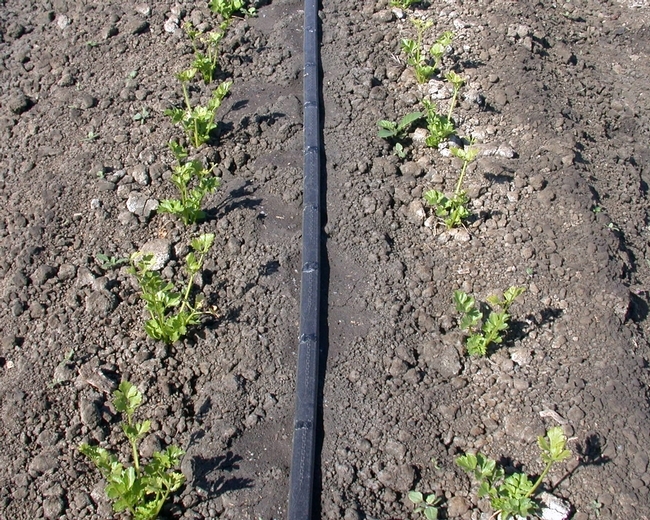 But does drip-only irrigation compromise efficacy of herbicides and crop safety? 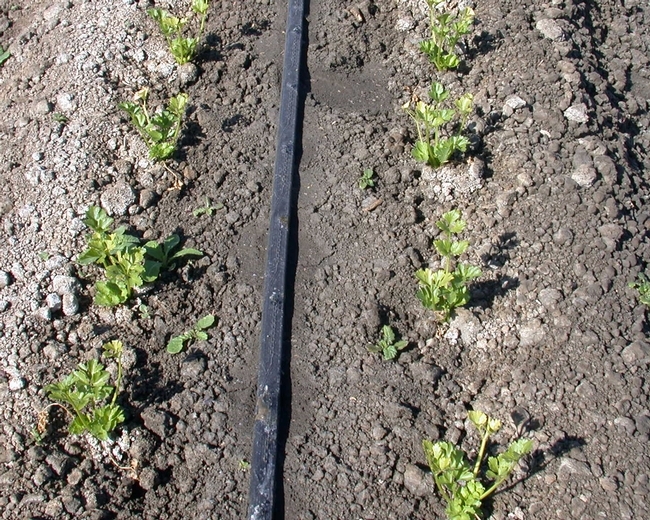 We evaluated GoalTender(oxyfluorfen) and Chateau (flumioxazin) applied one day before transplanting cabbage and celery in drip-only irrigated fields. Both of these herbicides have been very effective when sprinkler-activated and controlled broad spectrum of broadleaf weeds typical in our vegetable fields (however, Chateau is not currently registered in celery or cabbage). 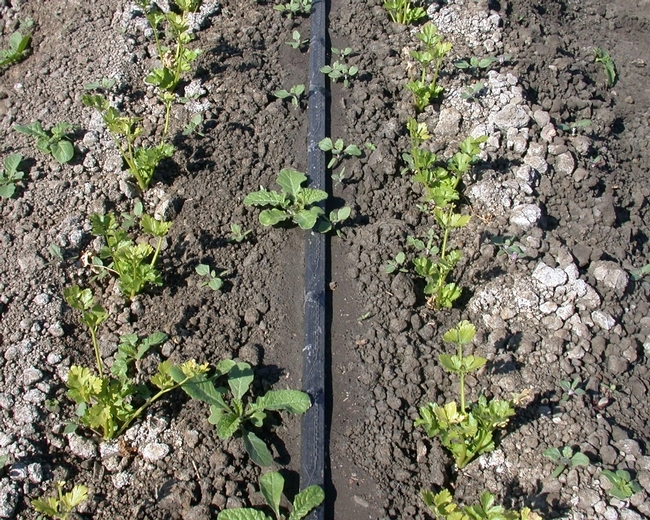 In cabbage we applied herbicides to drip pre-irrigated beds. Same number of marketable heads as in untreated checks. These results are very similar to those from our previous studies with sprinkler activated Chateau and GoalTender in celery and cole crops (84-92% weed control) suggesting that conversion to drip-only irrigation will not compromise herbicide efficacy or crop safety.